It's the FINAL show of 2015! We celebrate Christmas Eve by taking a look at the top new attractions in 2015! 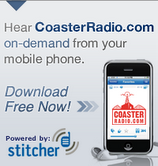 We take a look at listener voting from poll.coasterradio.com and crown the "Best New Attraction of 2015!" Plus, we have the traditional re-telling of "A CoasterBoy Christmas" and the finale of "A Coaster Carol!" Star Wars: The Force Awakens opens this weekend! We are joined by Josh "Two Cents" Miely from Chips, Dips and Dorks to review his experience at Season of the Force at Disneyland - including a review of Hyperspace Mountain! Our Park Hopper segment heads to Fun Spot in Orlando, Florida. We'll talk about the interesting aspects of this park and review their two excellent roller coasters. We announce voting for "The Best New Attraction of 2015!" 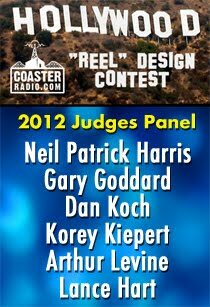 Cast your vote at poll.coasterradio.com. We also announce our next listener meet-up! 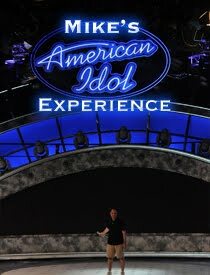 Mark your calendars for Saturday, March 19, 2016 at Dollywood! We'll be among the first to ride the all new "Lightning Rod!" Finally, we'll be visited by the Ghost of Attractions Past... as CoasterRadio.com listeners regale us with tales of their favorite long-forgotten rides. Plus, we'll have PART III of "A Coaster Carol!" 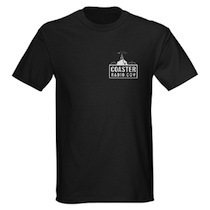 CoasterRadio.com #1011 - You Won't Believe What These Fans Think! Profiles in History is having an auction of some amazing pieces of Theme Park, Animation and Film History. On this week's "First Drop," we take a look at some of the headline items up for auction. We'll also have a Park Hopper segment that features The Great Escape and their unique place in the Six Flags Chain. We also have one of our "Interactive Topics" where we ask our listeners to call in with their most Controversial or Unpopular Opinions. As the title of this episode suggests... you won't believe what some of them think! We'll also have the second episode of our Holiday Classic - "A Coaster Carol!" The SkyPlex project has been up for debate over the past few months. This week, we received word out of Orlando that the project has been approved by Orange County. What does this mean for the project and why did Universal Orlando object to the project in the first place? We have some ideas. We'll also have a Park Hopper segment that features Michigan's Adventure and their fantastic wooden coaster "Shivering Timbers." We'll welcome The Legend and Drew the Intern from "In the Loop" to talk about their coverage of the annual IAAPA Convention. We'll discuss all of the big announcements and find out about the interesting new things found on the show floor. We'll also have the first episode of our Holiday Classic - "A Coaster Carol!" CoasterRadio.com #1000 - CoasterBoy at Coney Island! 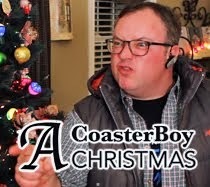 Season 10 of CoasterRadio.com kicks off with the premiere of our new video series starring the one and only COASTERBOY! * Mike, EB and listeners from all over the world are at Cedar Point for the first-ever CoasterRadio.com Listener Meet-Up! * The first-half of the show is from the Breakfast Tailgate party before the park opened. * The second-half of the show is from the Lunch Cookout! 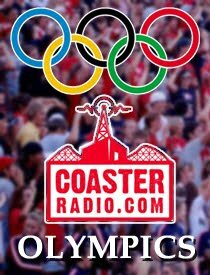 * The show features reviews of Cedar Point, a live raffle and interaction with the CoasterRadio.com Characters!